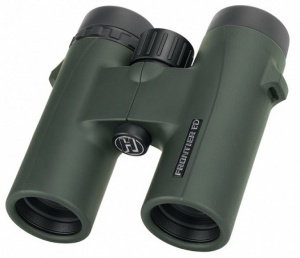 The Hawke Frontier ED 10x32 binoculars have all the same outstanding features as the Frontier ED open hinge, but in a more lightweight and compact chassis. Fully multi-coated optics and extra-low dispersion glass produce incredibly sharp images with high light transmission from as close as 2 metres. Lightweight and compact construction allows the binoculars to fit comfortably in the hand for extended periods of use. The precision focus wheel and dioptre adjustment are smooth to operate, ensuring a quick and easy setup.